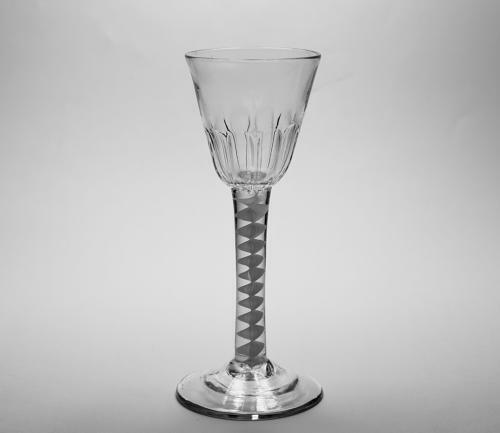 Single series opaque twist wine glass with round funnel bowl with heavily ribbed basal flutes and plain conical foot. English C1765. Note: A nice quality well made glass.